The Bulgarian-born player scored 80 career goals, including 47 as a senior and eight in a single game. He’s the Star Times boys soccer player of the year. 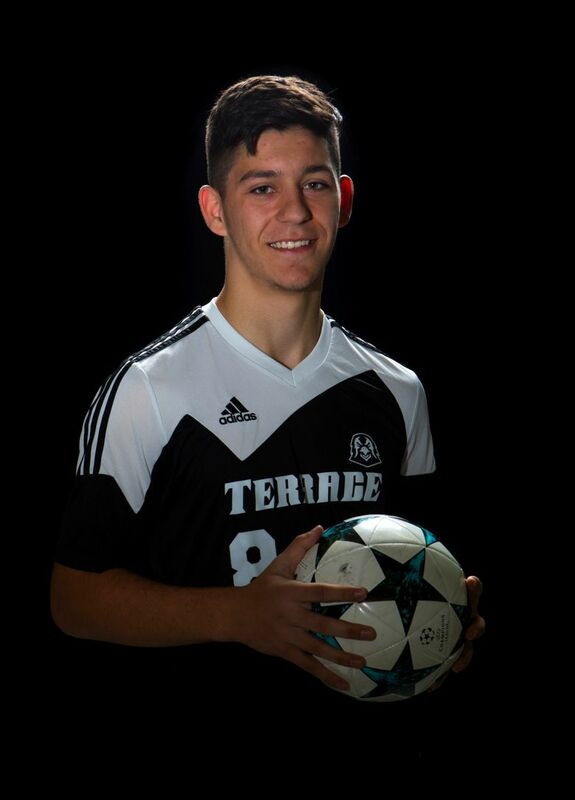 It’s clear that Borislav “Bobby” Stoyanov is a once-in-a-lifetime player for Mountlake Terrace boys soccer coach George Dremousis. The Bulgarian-born Stoyanov etched a place in the heart of Dremousis with the best statistical season in Hawks history. He wrote his name clearly into the program’s record book with a huge senior season. Stoyanov, who moved to the United States with his family when he was 14 months old, set school records with 80 career goals, 47 in his senior season and eight in one match. Those numbers are a big reason the Hawks standout earned Star Times boys soccer player of the year. Elliot Misic Shorecrest, F, Sr. The Scots’ offensive leader with 24 goals and 10 assists powered his team into the state playoffs after a fourth-place finish in WesCo 3A/2A. He’s a big reason the program reached state for the fifth time in six seasons. Joey Underwood Issaquah, F, Sr. The KingCo 4A Offensive Most Valuable Player supplied 19 goals and three assists as the Eagles won the regular-season conference title for the first time in four years. Underwood helped the program back into state for the first time since 2014. Alex Velasco Kentlake, F, Sr. The Falcons’ top player tallied 23 goals and eight assists, giving the rest of the NPSL Cascade Division fits. The Highline College commit capped his senior year by securing six school scoring records, including points in a career (97) and goals (58). His 23 goals in 2018 were also a school record. Avery Jacobson Roosevelt, MF, Sr. The straw that stirs the Roughriders’ drink is Jacobson, who tallied 13 goals and five assists to put his club back in prime position to defend its Class 3A state title. The University of Redlands commit is a top distributor who can finish and he helped Roosevelt (18-1) to a 15-0 mark against Metro schools in the regular season. 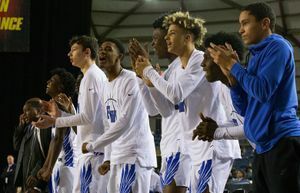 JJ Allen Todd Beamer, MF, Sr.
Overcame a midseason ankle injury and has helped the defending Class 4A state champions make the state playoffs again. Allen, who scored the team’s game-winning goal against Pasco as it won its first state crown in the sport last season, has 15 goals and 10 assists. Sam Johnson Archbishop Murphy, MF, Sr. 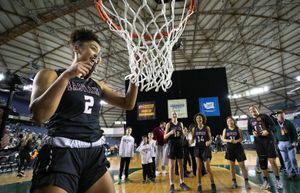 Led the Wildcats to their fifth consecutive Cascade Conference regular-season title and into the state playoffs where a bid for a fourth consecutive Class 2A state crown fell short. Johnson has 14 goals and 12 assists and is hoping to play at Gonzaga next year. Reis Kissel Mercer Island, D, Sr. The center back helped the Islanders take second in league, giving up a league-low eight scores. Kissel, the two-time All-KingCo 3A/2A Defensive MVP, also found time for four goals and one assist. Rowan Calvert Roosevelt, D, Jr. The Roughriders’ lockdown defender is a key to his team’s impenetrable back line and a huge reason his team was 18-0 and didn’t lose this season until a shootout defeat to Garfield in the Metro title match. Calvert scored three goals. Torin Dye Issaquah, D, Sr. The KingCo 4A Defensive MVP wins many balls at the back and was a key factor as the Eagles limited opponents to just seven goals in the regular season and just 10 heading into state. One of the team’s leaders, Dye also added seven goals and two assists. Ryan Davies Roosevelt, GK, Jr. The Roughriders’ netminder was solid all season, yielding a 0.29 goals-against average this season to go with 14 shutouts. Davies has come up with big save after big save this season. 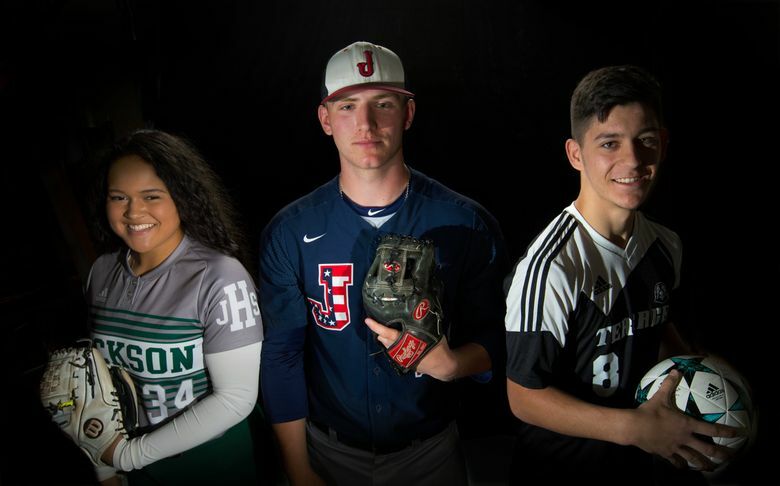 The Roughriders’ leader, 38-3-3 in the last two seasons, has done a great job of focusing his club as it attempts to win another state title. The team was 18-0 before falling to Garfield in the Metro championship match. The Riders were dominant against Metro schools, outscoring them 52-4 and also own a 62-8 advantage against all opponents. Dremousis’ 7-year-old son Nixon wears jersey No. 8 on his Seattle Sounders FC premier team uniform because his favorite player is the hardworking, diligent Stoyanov. Stoyanov works with the coach’s son after practice on many occasions. 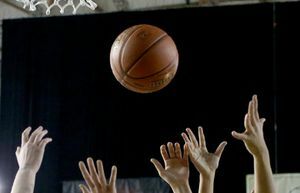 “All the guys look up to (Bobby) a ton and want to be like him,” said Dremousis, who has 36 years of experience coaching at the college and high-school level. Stoyanov’s reputation as a finisher grew this spring, but not enough to receive any local NCAA Division I scholarship offers. That chip from being overlooked fueled his fire during the Hawks’ 9-9-1 season (6-5-1 league) and he outscored — by himself — all but two teams during the WesCo 3A/2A regular season. Stoyanov, who is 5 foot 10 and 165 pounds, did get D-I offers from Syracuse and Loyola of Chicago, but he chose to go the European route for school and soccer training. Stoyanov’s offensive contributions started somewhat slowly as a sophomore with four goals and eight assists. As a junior, he hiked his numbers to 29 goals and 10 assists before destroying WesCo competition as a senior. The Hawks’ lone forward up top scored seven goals in a 10-1 win over Granite Falls on March 16, and he exploded for a school-best eight goals in a 9-0 triumph over Stanwood on March 27. Stoyanov led the Hawks to the Class 2A state semifinals and a fourth-place finish in 2017. The team lost its entire back line and fell two wins short of qualifying for state this spring. “It was kind of like one last ride with my teammates that I’ve worked with the last three years,” said Stoyanov, who missed just three true scoring chances this spring despite constant double- and triple-teams. “My driving force was really a state title, and I wanted to do whatever I possibly could to help my team win. Stoyanov will visit his native Bulgaria for three weeks before joining Richmond International Academic and Soccer Academy in the United Kingdom on Aug. 28. The school has a close relationship with Leeds United FC, formerly of the Premier League. He also hopes to polish his skills enough to be considered for the Bulgarian National Team in 2020.